No matter how complex or standard the procedure, our goal is to make your experience as safe and comfortable as possible. Every member of our team will make every effort to provide the best possible treatment for your best possible outcome. 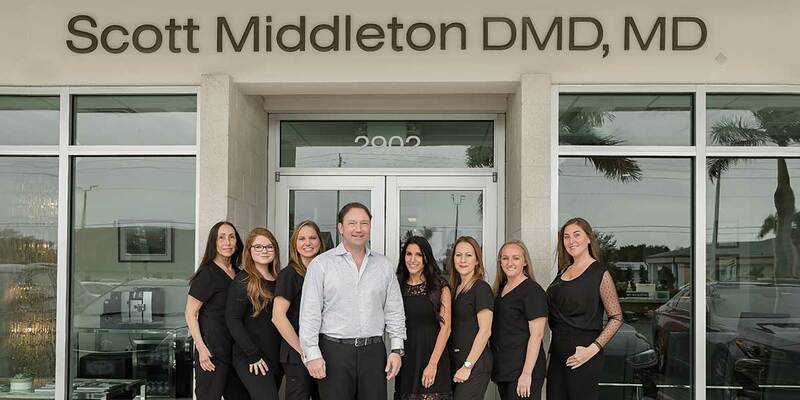 As one of the most progressive oral and maxillofacial experts on Florida’s West Coast, Dr. Scott Middleton works closely with a support team of trained assistants, patient coordinators, and implant coordinator to manage a wide variety of problems relating to the mouth, tooth and facial regions. Using today’s most advanced 3D imaging equipment, Dr. Middleton can identify and diagnose your prosthetic and surgical needs with an unprecedented level of accuracy and efficiency. Our onsite surgical suites enable us to provide full-spectrum sedation, ensuring the highest possible level of comfort and care during your treatment. Our facilities employ the use of cutting edge technologies which allow us to create a highly effective, comfortable, and customized surgical plan for our patients.